Guy Pearce's character wants to help a teenager get rid of her scary gift: mutating into other people at a moment's notice. Netflix received critical acclaim early this year for an eight-episode (so far) British series about teen runaways who fall for one another, “The End of the F***ing World.” The streaming service hopes for a successful repeat with “The Innocents,” and just debuted that show’s newest trailer. While “The End of the F***ing World” featured a possible-psychopath protagonist, “The Innocents” stars Sorcha Groundsell (“Clique”) as a young woman who shape-shifts, transforming herself into humans who bear little resemblance to her blue-eyed self. Groundsell’s June McDaniel learns of her unique ability after she and fellow classmate Harry Polk (Percell Ascott) flee their stern families. Well, what’s left of their families: June’s mother, a fellow shape-shifter, abandoned her three years ago, worried about harming her child. Golden Globe nominee Guy Pearce (“Mildred Pierce”) plays Halvorson, a professor who vows to reconnect and cure mother and daughter. Hania Elkington and Simon Duric — a past storyboard artist on “Star Wars: The Force Awakens” and “The Crown” — created, wrote, and executive produced the series. Another executive producer, Farren Blackburn, helmed six of the episodes (his past directing credits include “Doctor Who” and “Daredevil”). New Pictures’ Elaine Pyke, Charlie Pattinson, and Willow Grylls also serve as EPs. Composer Carly Paradis, the creator of piano arrangements for the Duncan Jones’ 2010 BAFTA Award winner, “Moon,” is also among their collaborators. “The Innocents” received its season one order a year ago, and filming occurred in Britain and Norway. Members of the Television Critics Association got an early glimpse of the footage on July 29. This year, Netflix is slated to produce or acquire more than 100 scripted series, culled from 21 nations. 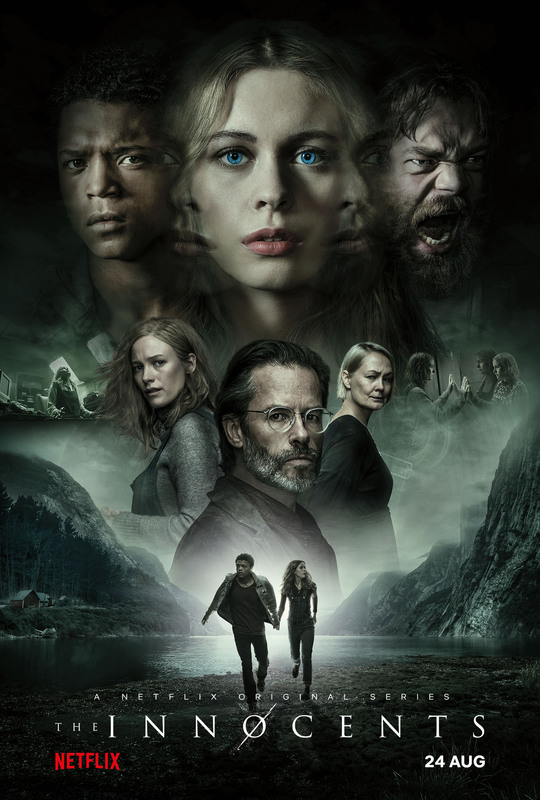 Check out “The Innocents” trailer and poster below, ahead of its August 24 release.